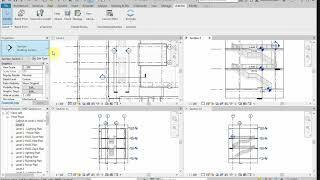 When you draw a section or elevation in Autodesk® Revit®, the height of its crop box usually don't match your needs and there isn't any control or parameter that make it easier to change. You have to individually edit each section elevation by opening it, and resizing the section's/elevation's crop box height with difficulty! It's time consuming and tedious work, especially when you have lots of sections elevations you want to use in sheets. 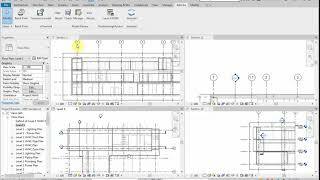 But the "Section Height Editor" App allows you to select multiple drawn sections and edit the height just by one click (you can set the configurations first and after that, it uses those set configurations. I've used it in different projects, it's very useful when you want to make callouts of rooms and you have lots of sections to adjust, Specially in large projects! I've used this add-in. It's work. But it was created the section at another level (I wanna create the section in level 1 but it was created level 7). Of course, I know used add-in. Is it work correctly in Revit 2018.3? I've used your plugin ...it is useful for multiple sections that i wanted to change their heights!! !